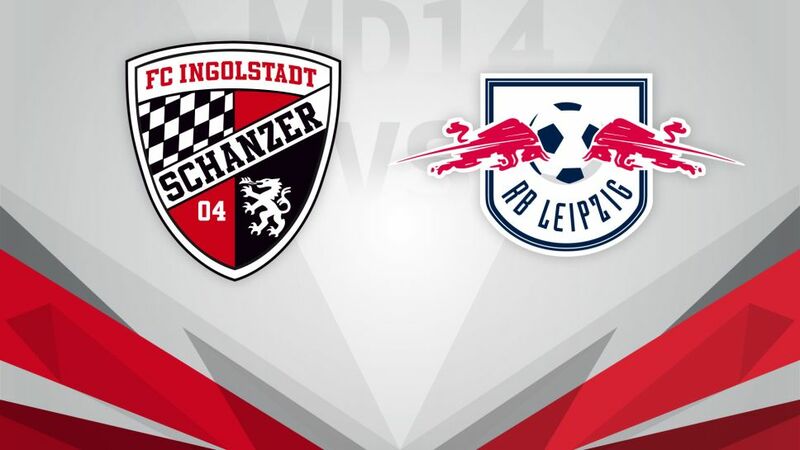 Bundesliga leaders RB Leipzig have a ninth successive league victory in their crosshairs on Matchday 14 as they travel to basement boys FC Ingolstadt 04 on Saturday (kick-off: 15:30CET/14:30GMT). Ingolstadt slipped down to 18th last week following a 2-1 defeat in Bremen, their first loss under new coach Maik Walpurgis, who posted a win and a draw in his first two games in charge. The 43-year-old can take heart from his charges' spirited display on Matchday 13, but knows that home form is key to Die Schanzer's ambitions of climbing the table: Ingolstadt are yet to win at the Audi-Sportpark this term. Leipzig, by way of contrast, are unbeaten and flying high at the top of the league thanks to a run of eight consecutive wins, most recently a 2-1 triumph over FC Schalke 04. Coach Ralph Hasenhüttl, who left Ingolstadt for the newly promoted outfit over the summer, has got his young charges playing with a fearless, fast-paced style that has yielded great rewards thus far. Perhaps ominously for Saturday's hosts, Leipzig have the best away record in the Bundesliga this season with five wins and two draws.